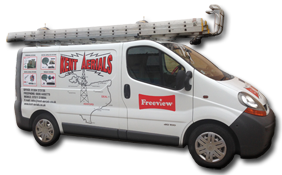 At Kent Aerials we have a team of experienced, qualified TV aerial fitters and installers, that can provide a comprehensive range of TV aerial and satellite services right across Kent on a daily basis. our experience engineers can usually come to your assistance with a same day appointment, or at a convenient time to suit your requirements. With the introduction of the digital platforms from Freeview / BT Vision / Talk Talk & EE TV. You now have a choice as never before available to the residents of Kent, but with such a large choice available, it can be difficult to make the right choice to suit your requirements & budget. 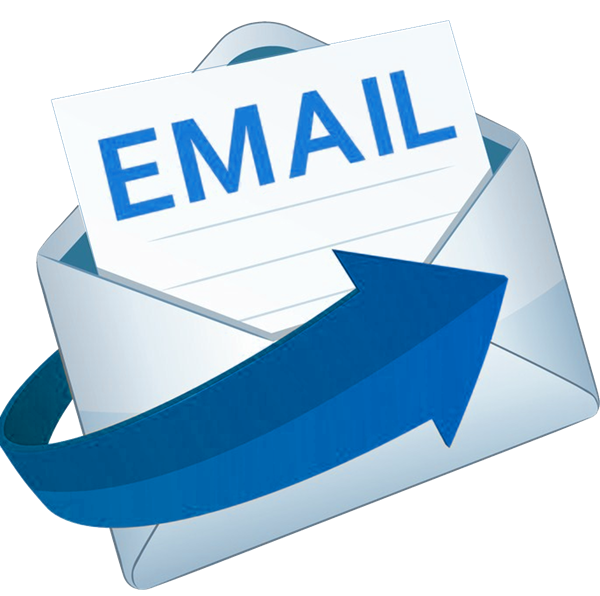 At Kent Aerials our experienced, frendly staff can help you to make this decision. As a local TV aerial company, we have been provided digital aerial and satellite services to the Kent community for many years, before the digital switchover and since. During which time, we have become one of the counties leading digital entertainment specialists. Upgrading your aerial for digital TV reception is a straightforward process. All that is require is a compatible receiver from Freeview / BT Vision / Talk Talk / EE TV or (your TV may already have one built in). 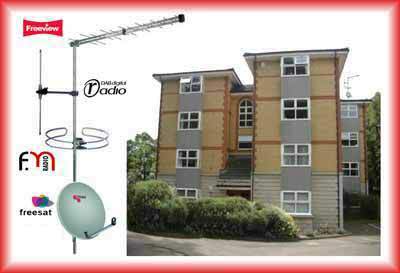 And a digital Freeview aerial installation to pick up the digital broadcast signal. Designed to give a Flat response across the full wide-bandwidth and are Highly directional with a narrow acceptance angle making them Ideal for wide-band Freeview reception in majority of situations. Designed for ultimate signal strength and quality.The Extra-gain range of aerials is built without compromise.Signal distribution is 'clean' because the directors are constructed from four straight half-wave elements mounted at the optimum spacing and angle. Maximum signal transfer from aerial to cable is guaranteed with tuned baluns and resonators. This range of Bracketry has been specifically modified and uses heavier duty components than most similar products available All the welded joints are superior MIG welding for strength, and have a 50 Micron Galvanised coating which conforms to BS EN 1461. Antiference is renowned for making high quality products ranging from domestic SKY™ accessories, HD distribution, CCTV and LCD mounts. Antiference also has 'tried and tested' commercial distribution equipment for multidwelling units, hotels and leisure facilities.